« EuroHCIR 2014 – deadline approaching! 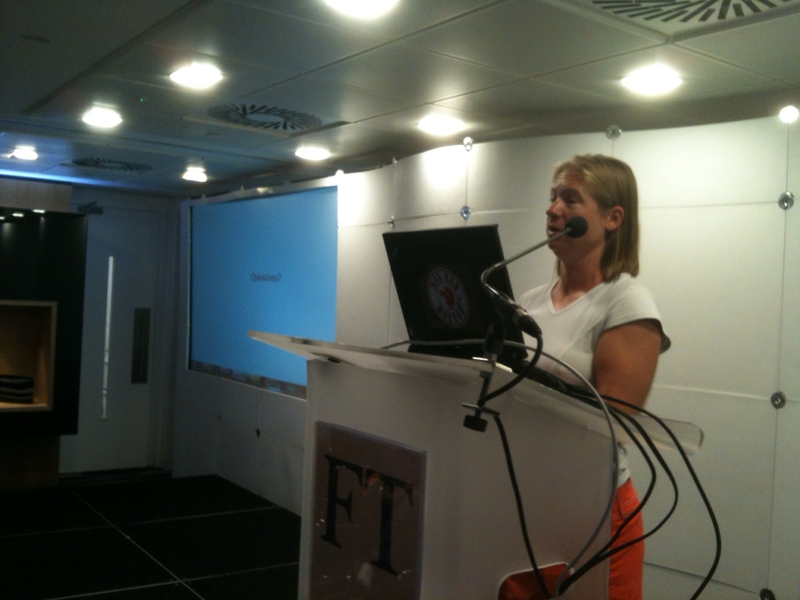 The event was kindly hosted by the Financial Times in their offices by Southwark Bridge, and the quality of the location and catering were both superb. My sincere thanks go to Guy Valerio, Katie Browne and John O’Donovan at the FT for making this happen. I won’t say too much about the two presentations here (there are already some great write-ups out there 🙂 but if you’d like to know more I’ve included Despo’s slides below, and Diana’s are already online at: http://www.slideshare.net/dianamaynard/do-we-really-know-what-people-mean-when-they-tweet. How do you measure the impact of tagging on retrieval?